North Bali offers very interesting places to visit that differs from the other parts of the busy overcrowded Bali. It is the perk of advantages of going to Bali which are many yet to explore. It is the main town in the northern part of Bali. The former colonial capital of Bali hold the remains of Bali old palaces. There are numerously secluded and white sandy Bali beach, scenic lake, sacred temples and vast greenery. North Bali is one of the most fascinating parts of the island with unique experiences to any visitor. 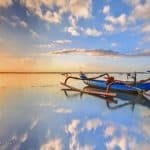 Here are must see things in North Bali. There are many must-visit markets in Bali, and Bedugul is the one to visit in north Bali. It is close to Denpasar up in the highland garden of Bali. Due to its cold climate, it produces lots of cool climate fruits and vegetables. For those who like a ‘local’ touch, and wonder about local fruits, a visit to the market is a must-do. Get submerged into the local culture, talk with the people, smell the herbs, buy tropical fruits and make unique photographs. North Bali has some amazing nature. There are some amazing natural wonders in Bali on the northern side waiting to be discovered. People can sunrise trekking on Mount Batur, the active volcano in Kintamani. Moreover, the breathtaking view among the paddle terraces would be amazing. Another way to enjoy the sunrise is seeing it by the seashore. 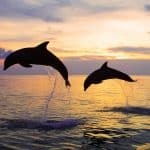 The Local fishermen can take you up on the sea to see the sun and also watch the dolphins. People who rent villas near the beach can get picked up on the beach right in front of their villa. North Bali is a real paradise for any water lovers. The Menjangan Island and Tulamben is the go-to place for diving, snorkeling, and sightseeing. Menjangan island is famous for coral garden and killer underwater sight. You can reach this spot just of the shore of Bali’s north coast. It has many fine preserved corals, abundant tropical fish, and translucent turquoise clear water. These “holy hot springs” in Banjar Hor Spring has amazing tropical gardens background. Bathing in the 38° Celsius with slightly sulfurous water has some excellent good for your skin and general health. It certainly is a truly unique Balinese experience to have. The sulfurous water also can cleanse yellow stains on fabrics. Therefore, you can see locals washing away stains on their clothes. Another part where you can spot another spring is the area which is called Air Senih. It has cold water springs with natural basins along the way. 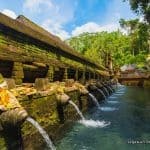 The cold springs are famous among local Balinese. However, it has also become an attraction for other tourists. The highlands behind the northern coast is the natural villages of Munduk and Mayong. 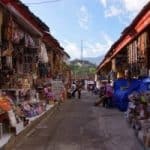 These villages are absolutely secluded and surrounded by green mountainsides, coffee plantations and the most breathtaking rice paddies on earth. Some local hotels and villas organize hiking and mountain biking trips through the rice paddies across these villages. Bali has exceptional Indonesias natural resources and many of the is in the north of Bali. Golfing is the only golf club in Asia that in an extinct volcano offers a unique experience. There are many volcanoes in Bali. and this sight takes tourism into a different level. It is well maintained and has stunning surroundings. This club is located in the mountains, with cool temperature fit for golfing around. For those culture enthusiast, this is the only Buddhist monastery in all Bali. Therefore, it is not your typical Buddhist place. It is heavily influenced by many Balinese carvings and decorations. There are many myths in Bali flying around and there is one in this place. The monastery is open for visits and free of changes. Dont forget to mind your manners and proper attired in this temple. 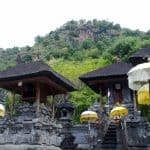 The Kerta Kawat, Pura Segara Temple, Pura Agung Pulaki are just some temple to visit. Keep in mind in any temple visit, proper attire is advised, use sarongs and sash around the waist. There are many temples in the north side of Bali. They are less touristy but equally beautiful with other temples in Bali. These unique temples welcome you to its magnificent architecture with towering gates and Balinese motifs, set against green hills. 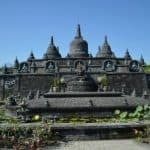 Due to its historical value, the north part of Bali has many museums to visit, Since, mostly coming here doesn’t cost a dime, it is a great way to get to know the Bali history. 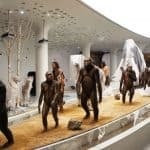 You can visit The museum of prehistoric man that hold significant collections of artifacts and remains found in the surrounding area. 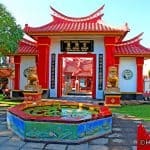 Ling Gwan Kiong Chinese Temple is an uncommon view among Balinese culture temples. This is an amazing stopover for those interested in historical landmarks. The old red Chinese temple sets beside the defunct seaport of Singaraja in North Bali. You can’t go to the north side of Bali and forget to mention Lovina Beach. Although there are many best beaches in Bali for swimming, Lovina has its own charm. There are high number of tourists affect the scenic beaches all around. The secluded far end of north Bali make this beach cleaner and less crowded. 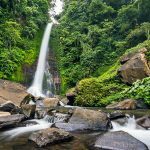 There are many amazing venue must see in north Bali yet to discover. 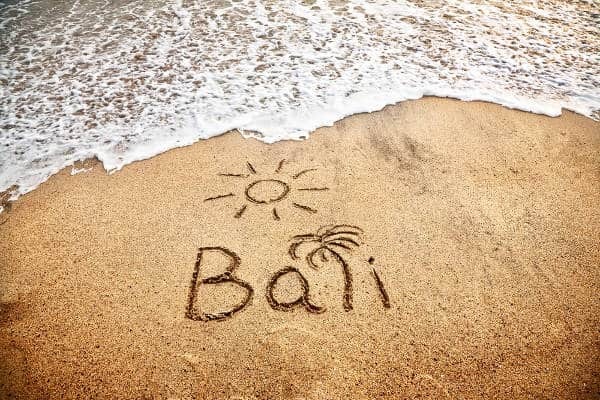 Bali has been famous for years and the development is always occurring. In north part of Bali, things move slower and offer a more relax experience.